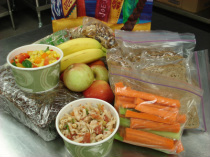 A sampling of delicious take-home foods. 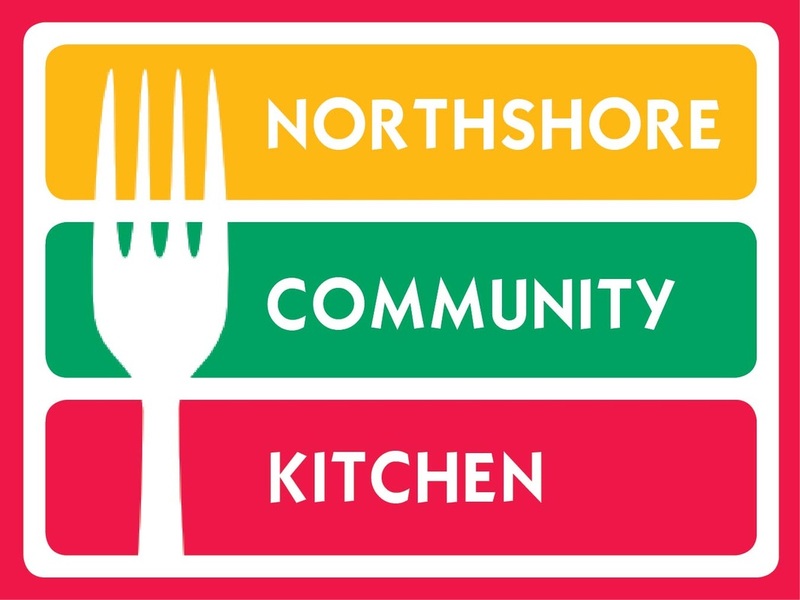 After seven wonderful years, the Northshore Community Kitchen program will end with March 19, 2019 being our last day for meal prep-n-pack. Thank you to everyone who helped make this endeavor possible, with extra special thanks to the team of amazing volunteers who made such a huge difference in the lives of so many Northshore families! 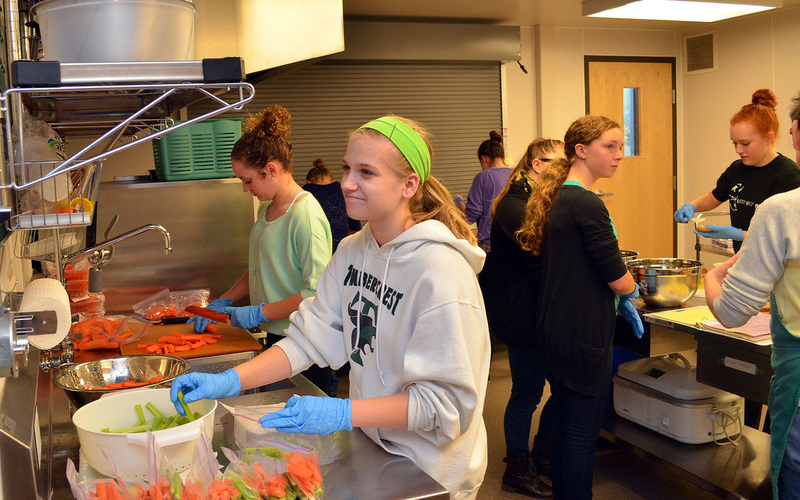 Members of the U14 United Rebels soccer team volunteered their time at the Northshore Community Kitchen to among other things, make dozens of sandwiches and bagels, and prepare veggies for in-need families in Northshore. 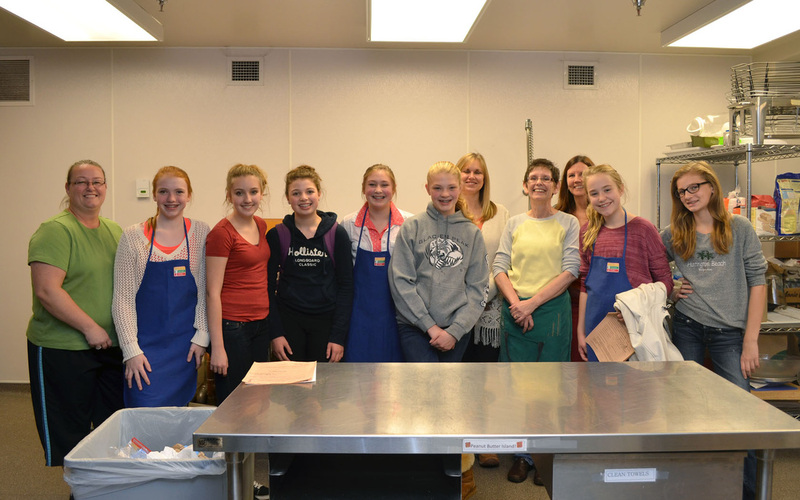 Note the cool Community Kitchen logo on those aprons! 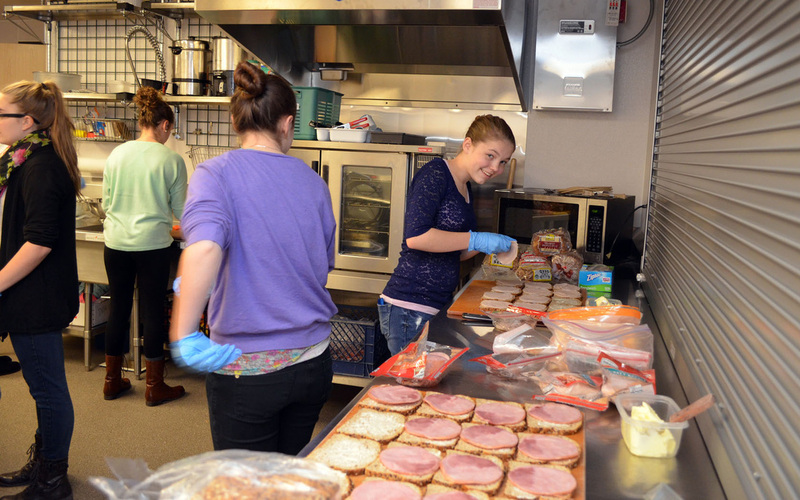 Special thanks to the girls for all their hard work.